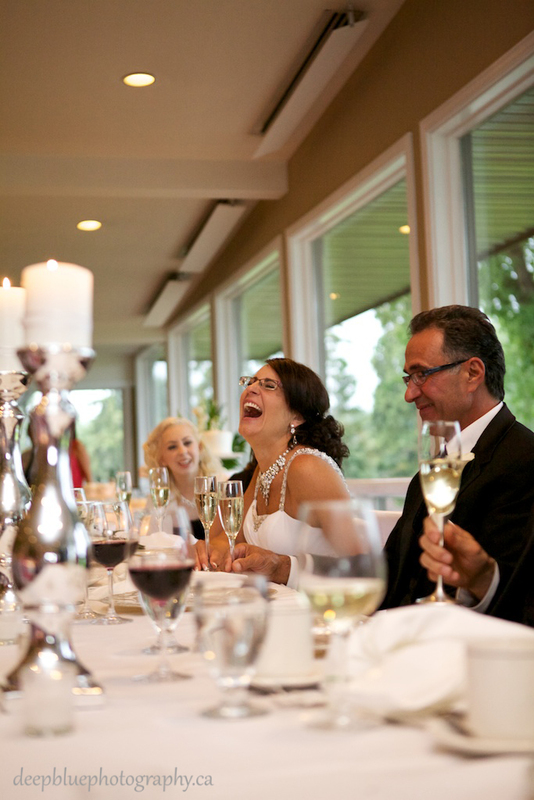 Our first meeting with Krista & Pasquale was at a local comedy night and we knew instantly that “these guys are going to be fun!”, so it was no surprise to us when Krista and Pasquale requested a light-hearted theme to their photographs with an emphasis on family. With five children between the two of them, we knew that we were in for a very fun day! 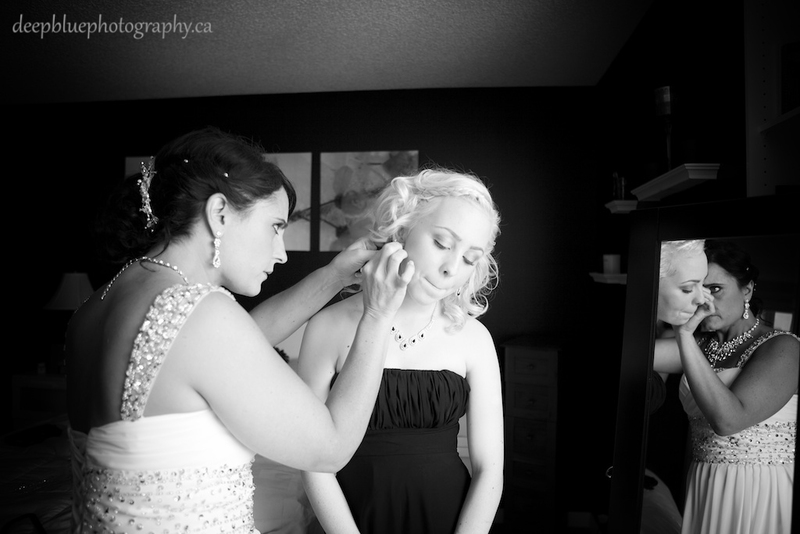 It was a beautiful morning when we arrived at Krista’s home to photograph the girls getting ready, all of the ladies (even the two labradoodles) were already looking fabulous! 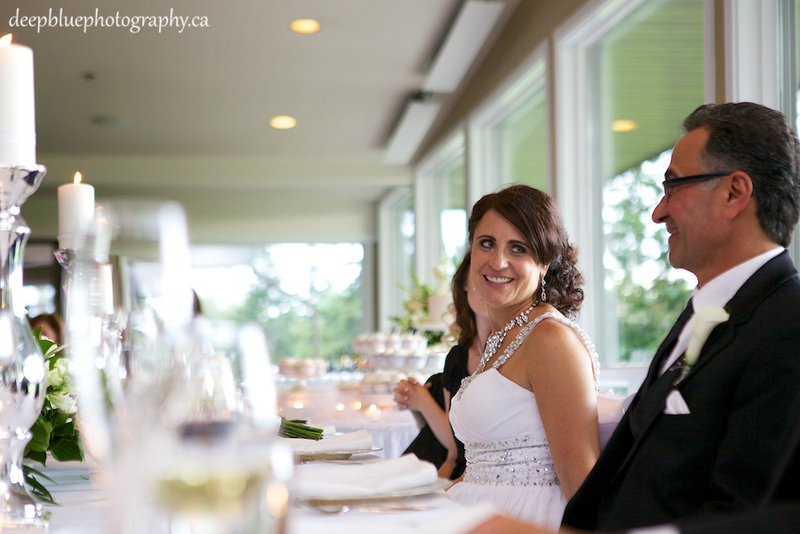 Krista was so relaxed all day – a picture of grace of beauty. 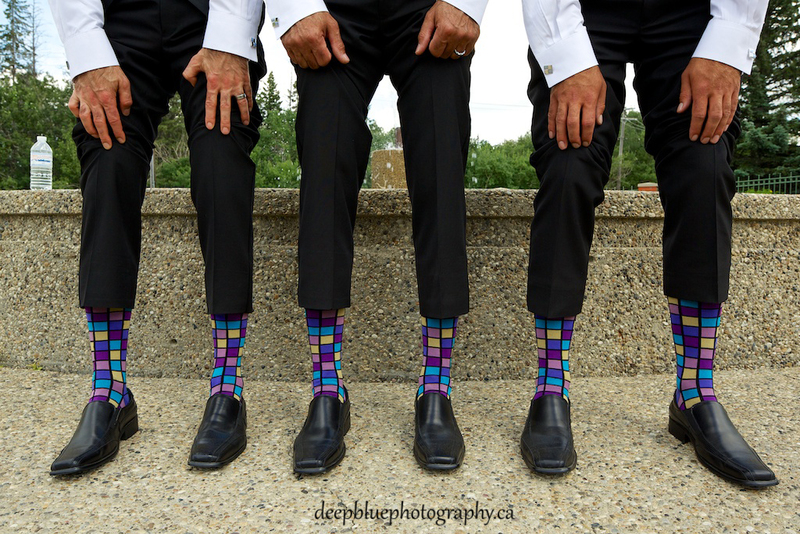 Pasquale appointed his two sons as his groomsmen, and in keeping with that lighthearted spirit, they brought some very special wedding socks to wear. 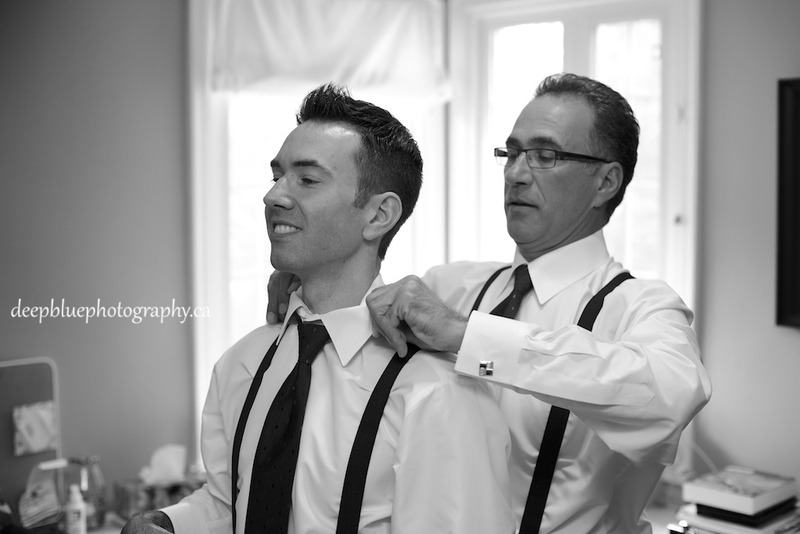 All was love and laughter as the guys readied themselves for the ceremony which would take place later that morning at the Fantasyland Hotel in Edmonton. 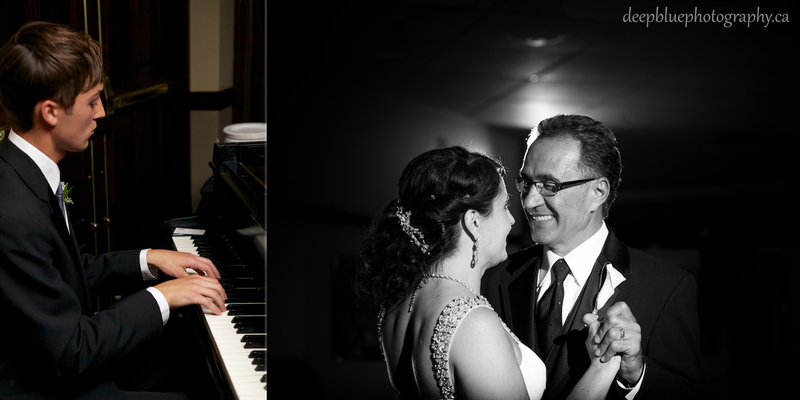 As guests entered the ceremony, they were serenaded by Eric (Krista’s son) on piano, a violin player and vocalist. 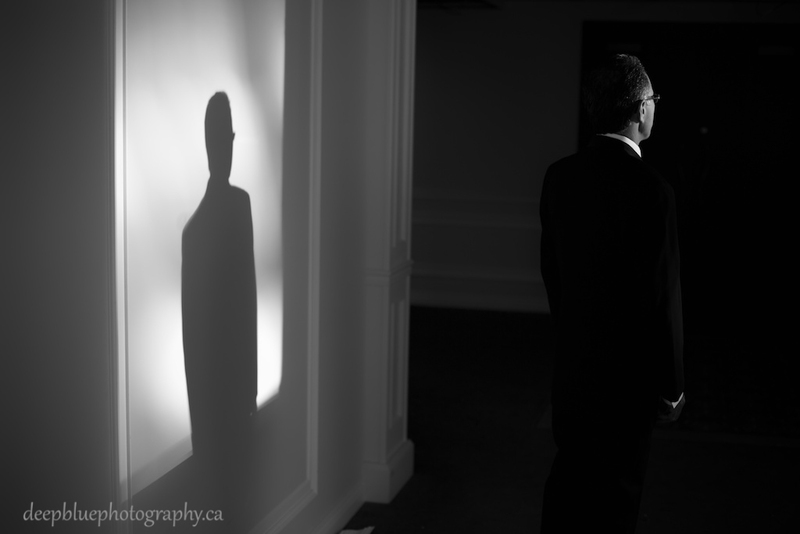 When Pasquale was at the front and ready, all eyes turned to the back of the room as the doors opened. 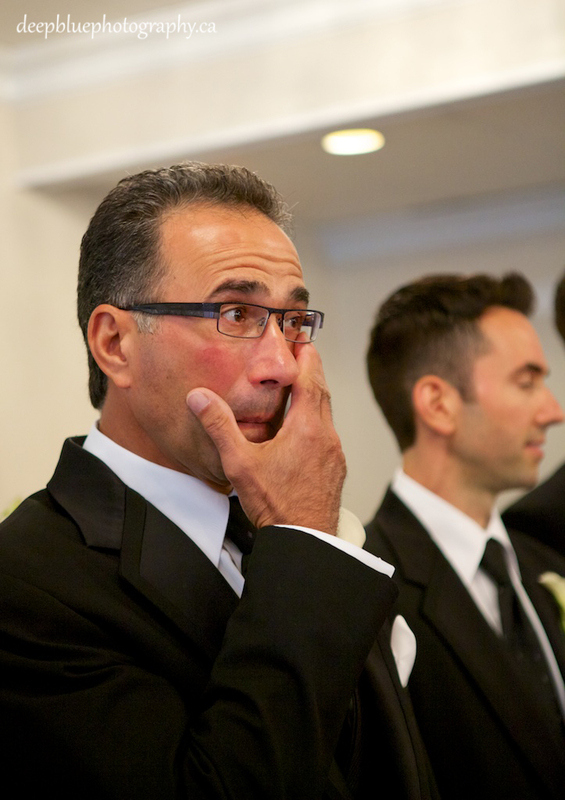 There wasn’t a dry eye in the room as Krista entered, arms linked with her son Eric as he walked his mother down the aisle. 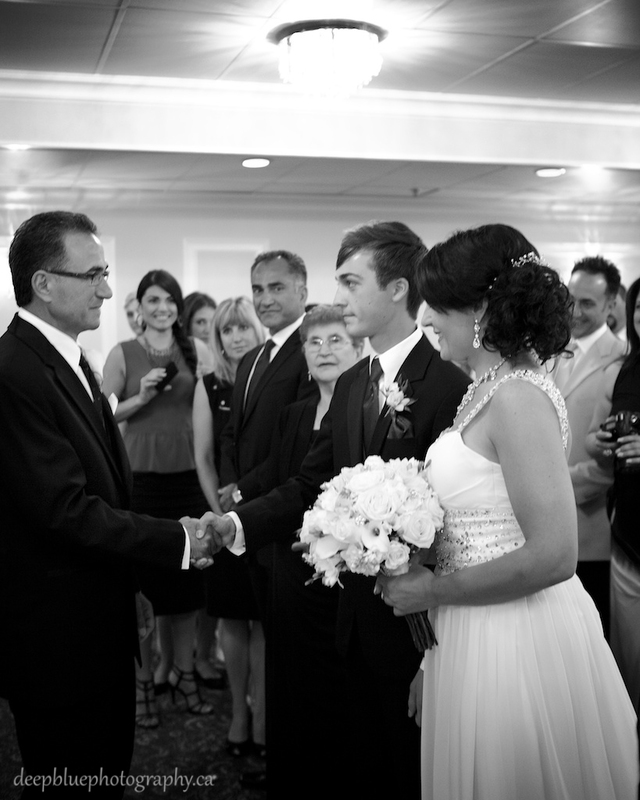 It was a sweet moment when Eric shook Pasquale’s hand and handed his mother’s arm to him. Proud mothers looked on as they celebrated their children and the union of two families. 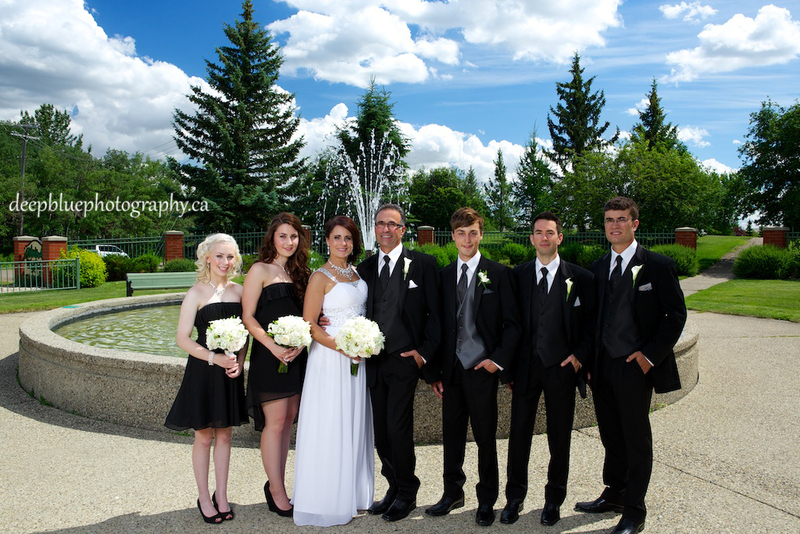 The family portraits were taken at Wedgewood Park before the couple reunited with their guests at the Edmonton Golf & Country Club. 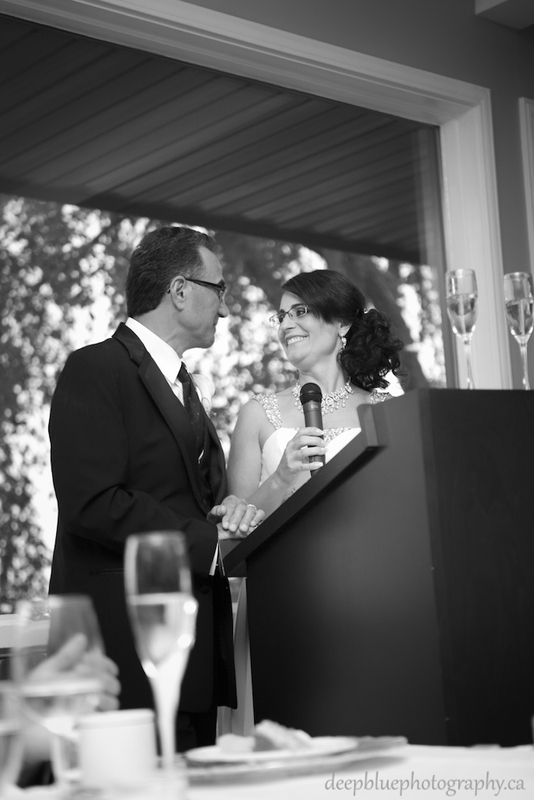 It was a lovely reception full of laughter (and a few tears of joy), a fantastic prairie thunderstorm and much celebrating! To see more photos, please check out Krista & Pasquale’s Facebook Album! 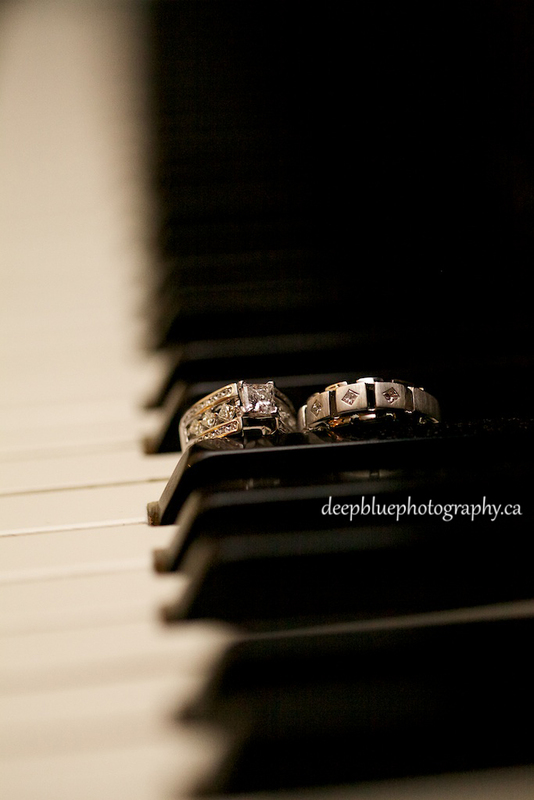 Thank you for inviting Deep Blue Photography to capture your Edmonton Golf and Country Club wedding! 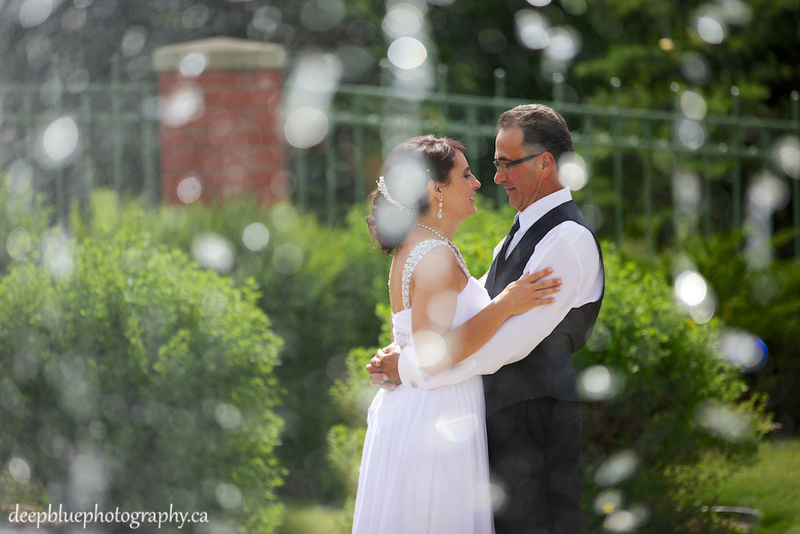 Here are some tips to make sure you enjoy your wedding day!